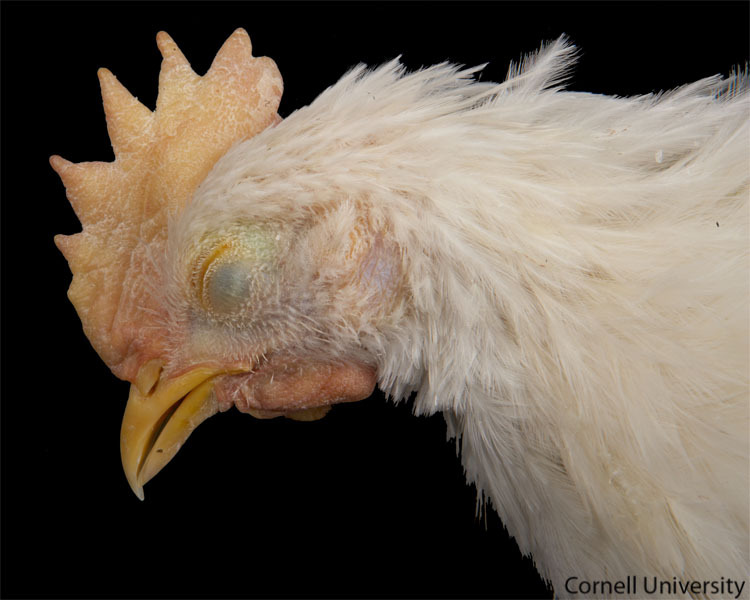 The comb and wattles are outgrowths of skin that are highly vascularized, making them a useful way to assess the bird's overall health. They are normally bright red but their color will quickly fade after death. However, they should remain firm and uniform on palpation. look for abnormalities such as edema, petechiae, necrosis, cyanosis, papules and ulcers.